'Yeah' meets 'Oh Yeah' in this epic Christmas crossover. 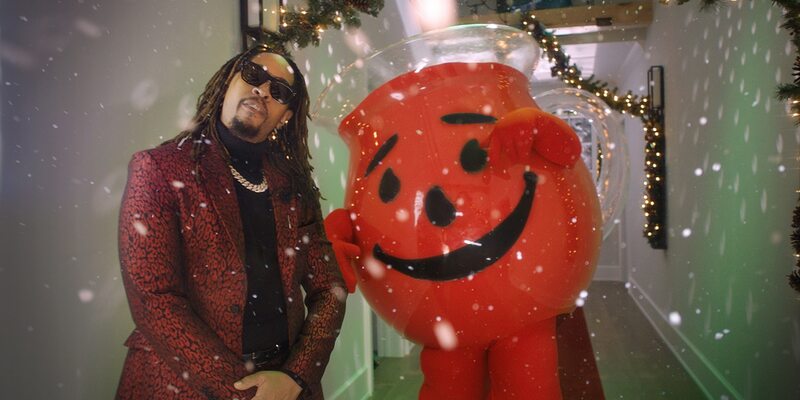 Move over, Lil Yachty and Donny Osmond, because the world of branded hip-hop just got a new unexpected duet: Lil Jon and Kool-Aid Man. With their catchphrases being “Yeah!” and “Oh yeah!” respectively, it was obviously just a matter of time before these two came together, and the resulting track—”All I Really Want for Christmas”—is a worthy addition to the recent trend of branded music that shouldn’t work in any universe, yet manages to somehow be amazing. Lyrically, it’s basically just Lil Jon letting you know that what he really wants for Christmas is not some warm feeling of reciprocal love, but rather a litany of luxuries on his long and detailed wishlist. Pausing on the list reveals exactly what he has in mind: a red Lamborghini, a diamond grill, a case of Cristal, some old-school vinyl and…a train set (among others). But you don’t come to Lil Jon for the lyrics any more than you come to Kool-Aid Man for antioxidants. You’re here for the addictive ear worm, and this track doesn’t disappoint. Created by agency mcgarrybowen Chicago and directed by Brad Bischoff, the video is one you can’t really look away from, and the song is maddeningly addictive. The only disappointment is probably when Kool-Aid Man finally gets on the mic, but then again, would we really want a 64-year-old carafe to be a rap phenom out of the gate? Parent company Kraft Heinz says the goal of the song was to “give fans young and old the holiday party anthem they never knew they needed.” Mission accomplished, Kraft Heinz. You can find the track on pretty much every streaming platform, so now you can plan your holiday party playlist accordingly.